NiSi was kind enough to send me an Advanced 100mm Filter Kit for Landscape & Seascape Photography, along with a NiSi Natural Night Filter for Nighttime Light Pollution, for testing on the Fujifilm GFX 50S just in time for the new moon. I’m looking forward to seeing how it compares to the competition, but my initial impressions are very good. 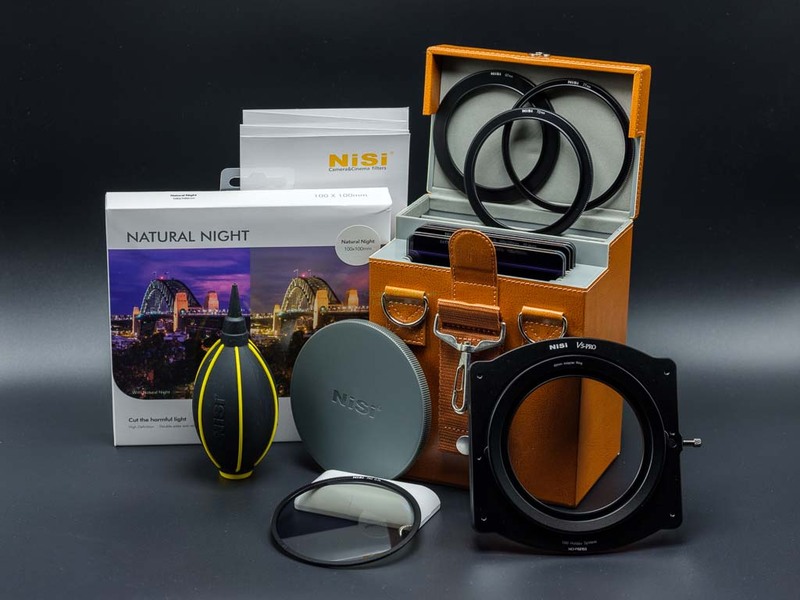 NiSi certainly knows how to build a kit that screams quality. They even improved the few complaints I had previously read about. My only real issues at the moment are that I wish the case stored the cleaner and blower accessories and that it came with extra spacers for 100mm x 100mm filters. Alternatively, they could add a clip-on pouch for small accessories and include spacers with filters that need them. Extra filters, like the Natural Night Filter, come with nice cases but, ideally, NiSi filters should come ready to slot in the case, since there are 3 empty spaces. If you have any questions feel free to ask in the comments or in our Fujifilm GFX Owners Group. This entry was posted in Accessories, Fuji X-T2, Fujifilm GFX, Fujifilm GFX 50S and tagged Fuji GFX, Fuji GFX 50S, Fuji GFX50S, Fuji Rumors, Fuji XT2, Fujifilm, Fujifilm GFX50S, Fujifilm Rumors, Fujifilm X-T2, Fujifilm XT2, FujifilmRumors, Fujirumors, GFX, GFX 50S, GFX50S, Medium Format, Super Full Frame. Bookmark the permalink. Trackbacks are closed, but you can post a comment.